Two teenagers caused ‘extensive damage’ to at least five cars after they broke into a farm in Selsey, police said. The pair, who police believe are aged about 15 and were wearing hoodies, were caught on CCTV breaking into a shipping container and a marquee at the farm in Grange Lane in the town. A Sussex Police spokesman said the force received a report of a burglary, which is believed to have taken place at around 6.30pm on Monday, January 1. They are yet to be caught. The police spokesman said: “Two youths wearing hoodies are reported to have broken into the premises and caused extensive damage to at least five vehicles. 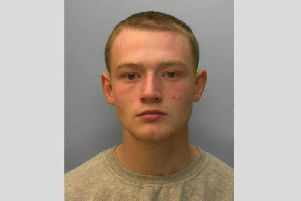 “Anyone with any information is asked to report it online at https://sussex.police.uk/appealresponse or call 101 quoting serial 497 of 02/01. “Alternatively, you can visit the Crimestoppers www.crimestoppers-uk.org website or contact the independent charity anonymously on 0800 555 111.